20% OFF + Extra $10 All Modern Coupon - Verified 28 mins ago! 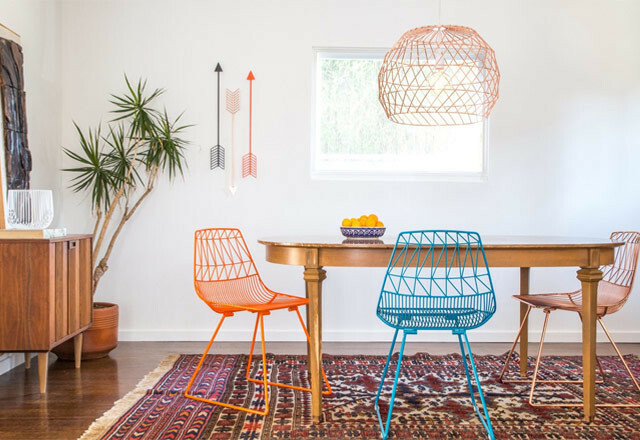 When you want to redecorate and improve your home it can be a hassle to find all the furniture and decor at reasonable prices, however one company that brings all the latest modern designs under one roof is All Modern, the online home decor store that offers many money saving deals. By redeeming an All Modern coupon when you go to checkout you can get money off your purchases, and our deal hunters here at Coupofy have trawled the internet to find all the latest All Modern deals so you don't have to. Whether you're searching for a All Modern discount code or normal sale information, you can find everything you need right here and we're constantly updating the database, so you'll rarely find a code that has expired. All you have to do is scroll through to find the promotion you wish to use, and clicking on the link will load a new page with all the terms and details you need to redeem it on the AllModern.com website. So what are you waiting for? Browse our offers and make savings today! If you're not looking to use an All Modern promo code or buy home decor products today, then why not check out our deals for all the other top online retailers and service providers on web? Remember, you can make savings every time you shop if you come to Coupofy first! Details: Get $50 Off $500 When You Enroll in the Wayfair Professional Program. Businesses and Trade Customers (Interior Designers, Architects, Contractors, etc) Only. Must Enroll in Wayfair Professional or Wayfair Trade to Redeem. Valid on 1st Business Purchase. Details: Get $100 off $1000 When You Enroll in the Wayfair Business Program. Businesses and Trade Customers (Interior Designers, Architects, Contractors, etc) Only. Must Enroll in Wayfair Business or Wayfair Trade to Redeem. Valid on 1st Business Purchase. 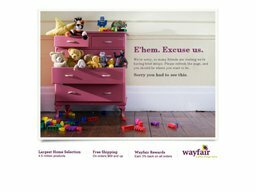 Details: Get $50 Off $500 When You Enroll in the Wayfair Business Program. Businesses and Trade Customers (Interior Designers, Architects, Contractors, etc) Only. Must Enroll in Wayfair Business or Wayfair Trade to Redeem. Valid on 1st Business Purchase. Exclusions: Commercial items, home improvement, large fixtures, non-standard items. Details: Get Free 2-Day Shipping On thousands of items (even sofas!). All Modern is a leading speciality retailer of modern furniture, furnishings and home decor related products, based out of Boston, Massachusetts, United States. The company is a property of Wayfair, LLC, a publicly traded eCommerce conglomerate that owns a number of web stores in the US and overseas. You can find the full All Modern collection exclusively online at AllModern.com, including many well known and lesser known brands. Here customers across the United States can easily place orders for swift home delivery. One of the reasons the online store has become a leader in the home sector, is the ongoing variety of special offers and deals that help customers make savings. One of the most common ways you can get money off your order is to use an All Modern coupon when you go to your digital cart. At Coupofy we keep an up to date list of these, so all you have to do is remember to browse this page before making a purchase, and you are certain to get a great deal! All Modern was first launched in 2006 when Wayfair saw a gap in the market for a retailer that could make modern home design more accessible to the public. The site saw quick success and rapidly expanded its inventory to include thousands of individual products - everything you could want when making your home more modern. "AllModern offers inspiration and allows you to discover the hottest trends and latest must-haves. We are proud to serve as a learning resource and stylistic guide for modern connoisseurs and new enthusiasts alike by sourcing products from around the world," reads their about page. The site caters to both individuals, professionals and bulk buyers, and anyone with an All Modern promo code can benefit from savings. All Modern is your one stop destination for everything home design related, whether you're looking for modern furniture and furnishings, home decor, or even items for your garden and patio. They cater to all rooms in the home, offering both popular branded items and lesser known brands at affordable prices. The price of most products can be reduced even further when you use an All Modern coupon on the website, and there is often some kind of regular sale or non-coupon promotion running as well. The All Modern promo code you choose from above will depend on what you're buying, the type of offer you prefer, and what deals are currently available. This is because some coupons can be used for almost any order, while others are reserved for certain items or brands only, or you must meet other terms (such as spending a certain amount). If you click on the deal you want to claim at Coupofy, the full terms will be displayed. You will find the following when browsing thorough the All Modern categories: Sofas, Sectionals, Chairs, Recliners, Tech Furniture, Tables, Dining Furniture, Kitchenware, Kitchen Appliances, Beds & Bedroom Furniture, Bedding & Mattresses, Curtains, Towels, Cabinets, Mirrors, Wall Decor, Blinds, Cushions, Rugs, Lighting, Bookcases, Office Furniture, Storage, Bags, Garden Furniture, Planters, Outdoor Heating, and much more. Some of the popular Brands stocked by All Modern include: Alessi, Jonathan Adler, Flos, Tom Dixon, Missoni Home, Gus, Artmide, Moooi, Kartell, Foscarini, Artless, Blomus, Bend, Casamania, Evi Style, EQ3, Hansgrohe, and many others. Although they often change, some of the current bestsellers include the Serta Upholstery Aries Sofa, Revolution 6 Piece Silicone Utensil Set by Le Creuset, Modloft Worth Upholstered Platform Bed, Umbra Hub Wall Mirror, Brill 1 Light Outdoor Wall Lantern, Monarch Specialities Inc Computer Desk, and many others. The store also has dedicated pages for sale items, and these prices can be lowered even further with a promo code for All Modern. Standard Sales: These types of sales allow you to buy branded items at a fraction of the cost, sometimes up to 65% off. Sales may be reserved for specific brands or product categories, and will run for a set period of time or until the stock has run out. You do not have to do anything special to purchase these items, simply add them to your cart as normal. All Modern Coupon: Coupons or promo codes are special codes that reflect certain discounts or deals. The code is entered during the online checkout process, but you can only use one discount code for All Modern per order. Sometimes however they can be combined with non-coupon deals for even more money off. Check back to Coupofy for an up to date selection of coupons. Shipping Deals: There is always some kind of deal that allows you to get free shipping, such as a minimum spend or an All Modern free shipping code. Currently if you spend over $49 you qualify for free standard shipping. New Customer: New customers are sometimes shown a pop-up or email with a special discount off their first order. This will usually be in the form of an All Modern promo code. All of the most recent public deals are displayed here at Coupofy, however you might find a few exclusives by doing an All Modern email sign up. They also sometimes share exclusive offers via social media. All Modern has profiles on Twitter, Facebook, Pinterest, Google Plus, and Instagram. Using your All Modern coupon and making a purchase at the web store is a simple process. You should first register an account, as this is needed to complete checkout and will save your details for future use. You will also be able to access your order history and other important features. Registration takes just a few minutes and you'll need to give your name, email address, shipping address, and your payment details when you want to checkout. If you have ever bought anything off the web before you will have no issues using AllModern.com, as they use a normal cart and checkout process, with simple and safe online payment. The whole range is sorted in to obvious categories and subcategories, and you can also use the search bar at the top of the page if you know what you're looking for. When you reach a category or on a search results page, you'll be met with the relevant item list. This can be further refined by filters such as Price, Features, Brand, Color, Popularity, and others, until you find exactly what you want. Once on the product page itself you can view several photos of the item, a detailed description, and you can also read reviews from other customers to help you make an informed purchasing decision. To add the item to your basket select your options (size, color etc), the quantity, and then hit the "Add To Cart" button. You can also add the item to a Idea Board within your account so you can buy it later and keep a list of things you want to get. When your cart is full with all you want, hit the cart icon at the top right of the page. Next you will be able to enter any All Modern promo code for 2016. Then you will be taken to an online payment page where you can choose your preferred method and securely pay for your order. To redeem any All Modern promo codes for 2016, all you need to do is find the promo box on the online store to enter the special code that comes with the coupon. At All Modern you should see it in your cart, just before you go to the payment step. Carefully enter the code in to this box (or copy and paste it from here) and you will get confirmation message. Your order will then change to reflect the deal. For example if you used an All Modern 10% coupon code, your total order cost will automatically drop by 10 percent. Only one All Modern coupon code for 2016 can be used per order, so make sure you choose the one that makes you the most savings! Once you have claimed your All Modern coupon you must pay for your order. The store supports a wide variety of methods, including most common credit and debit cards (Visa, Mastercard, Visa Debit, Maestro, American Express, Discover etc). Card payments are made directly on the site via an encrypted gateway, which will also support your card issuer's own security measures (such as Mastercard Secure Code and Verified by Visa). The second method is PayPal. You will be briefly taken away from All Modern if you choose this option, and to your PayPal account. Here you can choose any funding source, including your PayPal balance, credit or debit card, funds directly from your bank account, or PayPal credit. If you have an All Modern or Wayfair gift card, this can be redeemed to cover all or a part of your order, with any remaining charge paid by card. Wayfair also offer their own store credit card, which can be used to pay for your order and rack up points, which you can redeem later for discounts. The All Modern online store ships across the United States, excluding PO BOX, APO and FPO addresses. The amount you are charged is based on your order value, the speed of the method used, and your address. Orders to Alaska and Hawaii come with extra charges. Options include Economy (up to 8 business days), Ground (up to 7 business days), 2 Day (2 business days), Next Day (1 day), and Curbside for large items. You can pay extra for the courier to unload your item and bring it in to the house and even assemble it. Occasionally they will run a free shopping offer, which requires you to spend over a certain amount. At the moment you must spend over $49 in total and the deal only applies to the lower 48 states. From time to time there is also a All Modern coupon that can get you free economy shipping. Returns on unwanted items are to be made within 30 days of the delivery date. You will receive the dollar amount in store credit, minus the shipping costs. If you are returning an item because it arrived in error, or is damaged, you will get a full refund including shipping costs. Of course if you got a discount by using an All Modern coupon, that percentage will not be included in the refund or store credit.